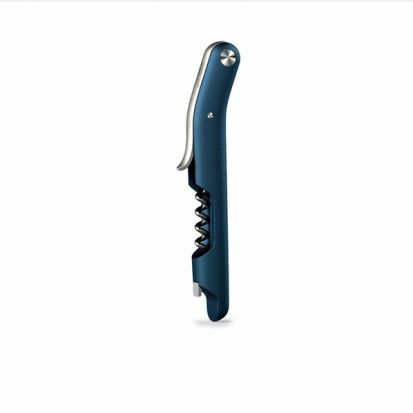 The unique design of Joseph Josephs Waiter’s Friend corkscrew is cleverly angled, letting you remove the cork in one fast, smooth action making it easy for everyonr to use. By simply inserting the corkscrew into the cork and twisting until one curl remains, place the tip on the edge of the bottle and lever cork out! Complete with an integrated foil cutter to make opening your bottle even easier. As well as a corkscrew, this Waiter’s Friend also features a clever cap opener for opening bottles wherever you are.